O'Malley-James and Kaltenegger modeled various atmospheric compositions, from ones similar to present-day Earth to "eroded" and "anoxic" atmospheres—those with very thin atmospheres that don't block UV radiation well and those without the protection of ozone, respectively. The models show that as atmospheres thin and ozone levels decrease, more high-energy UV radiation reaches the ground. The researchers compared the models to Earth's history, from nearly 4 billion years ago to today. Not all wavelengths of UV radiation are equally damaging to biological molecules: For example, write the researchers, "a dosage of UV radiation at 360 [nanometers] would need to be three orders of magnitude higher than a dosage of radiation at 260 [nanometers] to produce similar mortality rates in a population of this organism." "The history of life on Earth provides us with a wealth of information about how biology can overcome the challenges of environments we would think of as hostile," O'Malley-James said. 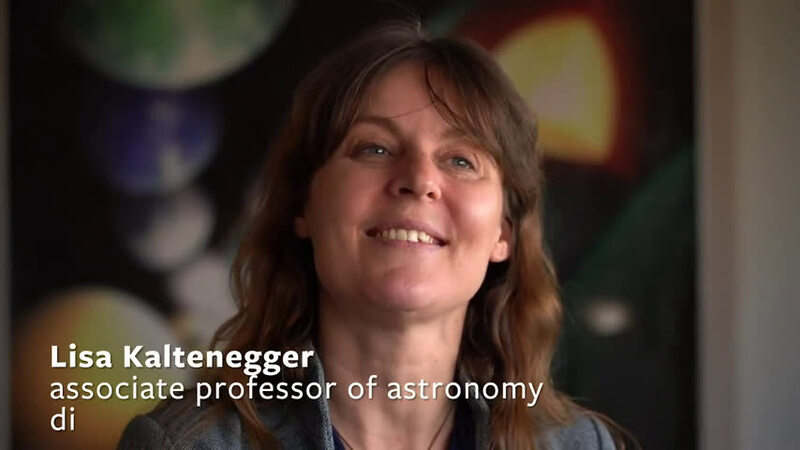 Said Kaltenegger: "Our research demonstrates that in the quest for life on other worlds, our closest worlds are fascinating targets to explore." "How could life survive such a bombardment? Cornell University astronomers say that life already has survived this kind of fierce radiation, and they have proof: you." Not only has human, animal and plant life been able to survive radiation from solar and cosmic winds, but also extremophiles that live on or near the surfaces of hot underwater volcanos. There is no law in the Universe that says that organic or inorganic life forms must appear even similarly like those of Earth. There could be rock-like life on those planets, or even diaphanous-bodied life that live in an atmospheric environment where they live on clouds. Anything is possible. Most humans haven't the imagination or are willing to accept such enormous differences. Some are even averse to such possibilities. Hamlet Act 1, Scene 5, Lines 167–168. It looks as if the Earth is not the only place infected with Life. I just want to have it found while I am still alive, . . or brought back. When one of the the trumpsterfire's sycophants tries to explain to the senile buffoon. That an Irrational Number such as Pi means that donnie can't be reassured he's getting the biggest slice of the graft pie? The Bogus POTUS & vp pfenning will join with the biblebabblers to make mathematics as illegal as art & literacy. The Earth was a chaotic, irradiated, hot mess. Yet in spite of this, life somehow gained a toehold and then expanded. These scientists have idea what they are talking about. As if there was some fairy tale happening. We really don't quite know what it was or is. But somehow this beautiful earth just kind of happened. "BELIEVE US!" Even thought the chances of this happening are basically zero. But even more incredibly, some even more wonderful might be happening on a planet far away!! Evolutionists will be laughed at someday. Forever. You mean in the way the idiots who think some impossible supernatural being started it all are laughed at now? Sorry, not going to happen. Evolution by human selection is self-evident. Do you suppose that a Great Dane could mate with a Chihuahua? So if human selection works, why would you argue with selection by random chance-- that is, by divine providence? I don't believe this, I think it's fitness landscapes, but hey, that evolution is life pathways chosen by some supermagic sky daddy isn't nearly as disgusting as the jebus trolls. There is no law in the Universe that says that organic or inorganic life forms must appear even similarly like those of Earth. There could be rock-like life on those planets, or even diaphanous-bodied life that live in an atmospheric environment where they live on clouds. Anything is possible. @SEU Sure, anything is possible in the realm of fiction and imagination, but science does not really work that way. Scientists who propose alternative biochemistries, e.g. with methane or ammonia as a solvent and silicon instead of carbon as the basis of such life, need also to explain and model how such lifeforms could function, up to and including their basic metabolism. To my knowledge this has not yet happened, so carbon and water have prevailed as the primary life ingredients. Carbon is a *far* more versatile element than silicon, able to form hundreds to thousands of times more molecules, while water is rightfully called the "universal solvent". Once again, for about the millionth time, you're not making any sense. Are you by any chance related to rrwillsj? She doesn't make sense either. Both of you should stay away from alcoholic adult beverages. There is no law in the Universe that says that organic or inorganic life forms must appear even similarly like those of Earth. ..Anything is possible. I agree that water is necessary. But the rest are still unknowns. We have only been at this a very short time in the scheme of things. Water is compatible with Carbon. It may also be compatible with Silicon as a lubricant and many other elements. Not being a chemist or geologist, I can't go much further into it. But the Earth has all of the elements that are included in the Periodic Table, so that much of those very elements make up the human body as well as animals. 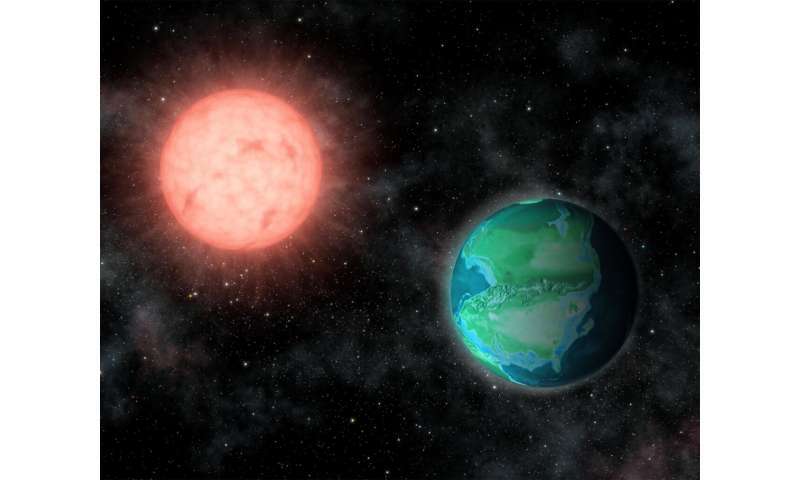 But an exoplanet orbiting around 2 Stars, eg - there may be elements in that planet that are missing from Earth, so that any life arising there would have to be compatible with what is most available to it. At this point in our existence, we can only conjecture and imagine what might be where no man has gone before. Well, time to choose which channel I will be watching the Black Hole extravaganza tomorrow. Vox.com will also be showing it. Not sure about physorg. What is Proxima Centauri b length of day? Sahster, I agree, unless of course we find something unusual. Perhaps one reason people come up with these ideas is they are trying to imagine just how strange those aliens might be. However, it is clear to me we cannot yet understand how far carbon-water based lifeforms can differ from one another evolving in different environments throughout the galaxy. When you look at the shocking diversity of life on Earth over time, you can bet there are living worlds out there that would completely blow our minds with familiar carbon-water bio-chemistries. Count on it. Unfortunately, scientists also found no intelligent life on Earth, since we're poisoning the environment for all mammalian life. Since when does a top predator outweigh all it's wild prey, by orders of magnitude? Enjoy what time you have here, and, don't have kids. Have you forgotten that it is scientists who have created those same poisons that are destroying animals and their habitat? Before there were scientists there were farmers and animal husbandry to feed humans and animals. Everything was natural. And as the population got larger, humans decided to find a better way to grow and protect crops and animals from the ravages of insects, weather, drought, floods, etc. And eventually, humans began using plants and chemicals to prevent their potential food from destruction. So now we have Monsanto and Roundup, etc. Science and scientists did all of that. Perhaps in a few hundred years, the Earth will clean itself of the toxic wastes science gave us. Michael, your comment is an insult to dolphins. :-) Unfortunately, many of our (corrupt) leaders are more than happy to get rich destroying the planet, so our intelligence is subverted by corruption. On a much more subtle note, perhaps we should be a little uneasy that we have no clear evidence of intelligent alien life. There are a trillion or so planets in the Milky Way, with many habitable planets even older than Earth. You have to wonder how many civilizations destroyed themselves and what our true odds of surviving are. If we were wise, we would take the silence from the galaxy as a warning to be careful of missteps that we cannot undo. If I am wrong, and we are the only space-faring species, then the galaxy is ours if we can survive long enough to take it. Either way, we should be far more careful with Earth. If we were wise, we would take the silence from the galaxy as a warning to be careful of missteps that we cannot undo. My observation, humans, in groups, cannot act with wisdom. And, yes, I agree, the fact that no other 'advanced' cultures have been discovered points out several potentialities, including the ridiculous cost of traveling between stars. If we could do that efficiently, we'd be able to create anything we'd want to, locally. There is no economics in star travel, so why would anything try to 'communicate' in the first place! Just brings up Musk's neuroses about giving away our location...like Ricky and Lucy and the telegraph haven't been doing that for quite a while. And, it's either hard for abiogenesis to occur, or, evolution elsewhere didn't cause the 'arms race' it did here on Earth. We're a short stub on the evolutionary tree of life, riding the limb we're cutting off. I disagree, it is corruption that masks our wisdom. Ask if leaders really want to solve a problem for the benefit of all, or are they looking for a way to benefit themselves at the expense of others? 99.9% of the time it is the later. Here in the U.S. we have done nothing in response to mass shootings for decades. This is the result of NRA-sponsored corruption and propaganda. New Zealand, on the other hand, had one mass shooting and put forth a solution banning assault weapons in less than one month. The difference is not intelligence, it is the level of corruption. I am not just picking on the U.S. either. The U.S. Founding Fathers came up with our present form of democracy as the most resistant to corruption over 200 years ago. Their wisdom was not masked by corruption. Unfortunately, that system is not perfect. "You mean in the way the idiots who think some impossible supernatural being started it all are laughed at now? Sorry, not going to happen." You can say that again! ad infinitum! Sadly, this forum is infected with you....gSKUM. I don't see any evidence presented that life on earth was hammered by all this deadly radiation, since they do mention subsurface locations offering protection (duh!). Although it seems clear that red dwarf systems are not nice places to evolve, you might want a short visit! It seems highly likely that such subsurface locations would have been ideal on a primitive earth anyway, if not for the radiation alone. (Photosynthesis was a bit into the future.) And there is nothing surprising about the effects of 360nm UV being less hazardous than 260nm since the latter is the peak absorption band for polynucleic acids - maximum mutation rate. There was also plenty of radiation on the early planet from isotopes galore. It seems likely that some of this would have been useful in expanding evolution, but mostly destroying it. There is no certainty that any body that is under heavy radiation as noted is incapable of supporting life. Not a day at the beach, but not absolutely inhospitable. This forum is infected with you, a troll who is so stupid that he will claim a figure of 6% and then post a link to 'prove' it that says 14%. I don't know who's paying you, but they're not getting their money's worth. They do make climate models that confirm the surface was hammered, which they consider a proxy for habitability; most habitability discussions center on surface habitability since it is well known and sets the net primary productivity (almost all through land plants) for modern Earth. I disagree, it is corruption that masks our wisdom. Psychologists and betting agencies has shown that groups are wiser than any individuals. And the amount of corruption is globally relatively low and not the worst drain on economy. The Fermi question "where are they" were immediately responded to by himself: as long as we don't know that interstellar travel is possible we cannot worry about observations (except true positives).